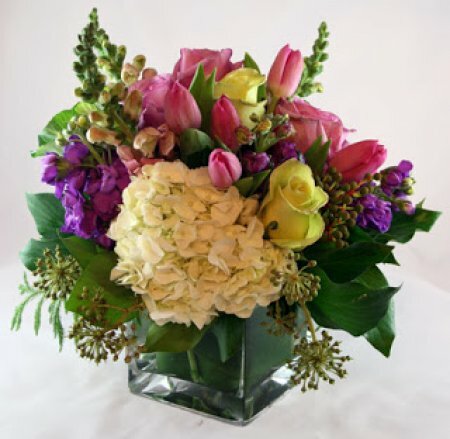 An enchanting blend of fresh garden flowers. This arrangement is one of my favorites! Some substitutions may apply depending on the season.